Poster presentation at 4th International Symposium for Medicinal Sciences (ISMS) | Spera Pharma, Inc.
At the 4th International Symposium for Medicinal Sciences held on March 27, at Kanazawa Art Hall/Kanazawa Motenashi Dome during the 138th Annual Meeting of The Pharmaceutical Society of Japan (March 25 – 28), Kazuki Azuma of Chemical R&D Division made an invited poster presentation on “Development of Highly Stereoselective Synthetic Method for 3-Amino-4-hydroxytetrahydropyran via Transfer Hydrogenation”. 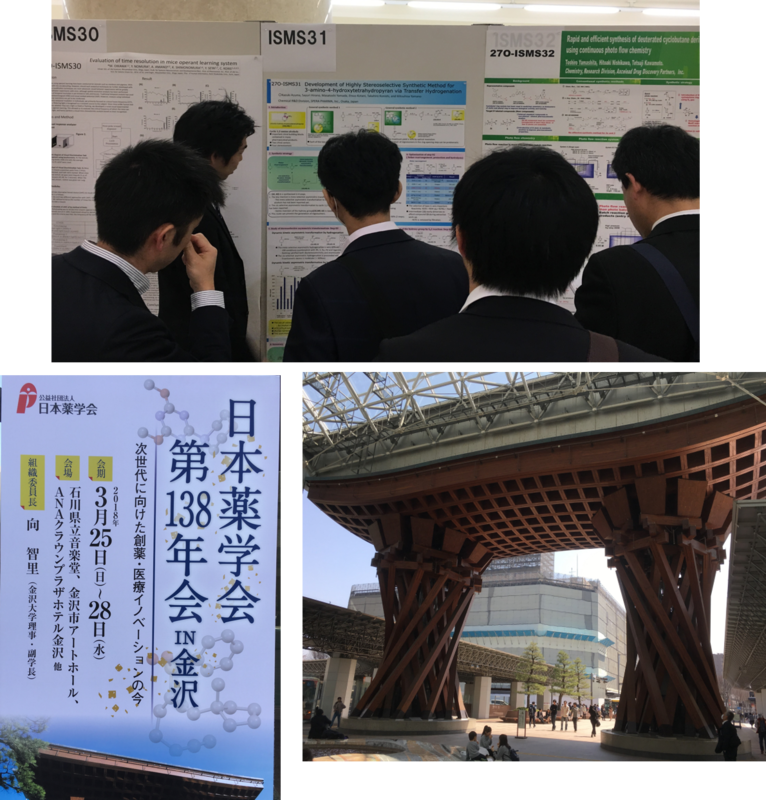 In this poster　session, he presented the stereoselective synthesis of cyclic aminoalcohol using asymmetric synthesis, which is our strong R&D field of expertise. As chemical structures containing chiral centers elaborated in many core skeletons of pharmaceutical compounds, many researchers in the research field of medicinal chemistry showed their interest on our research results, and many questions were asked during one-hour session. Also, we could realize that chiral technology of Spera Pharma has attracted much interest from researchers in a wide range of research fields. We will continue to contribute to the creation of superior and innovative medicines by responding to customer’s demands and expectations through our research achievements and the synthetic technologies accumulated so far.